Jewelry has been worn to pull together a look and an outfit! Indeed, as stylish women we feel weird not wearing earrings. This is a feeling we understand, because of course we’ve all went back home to put on a pair! 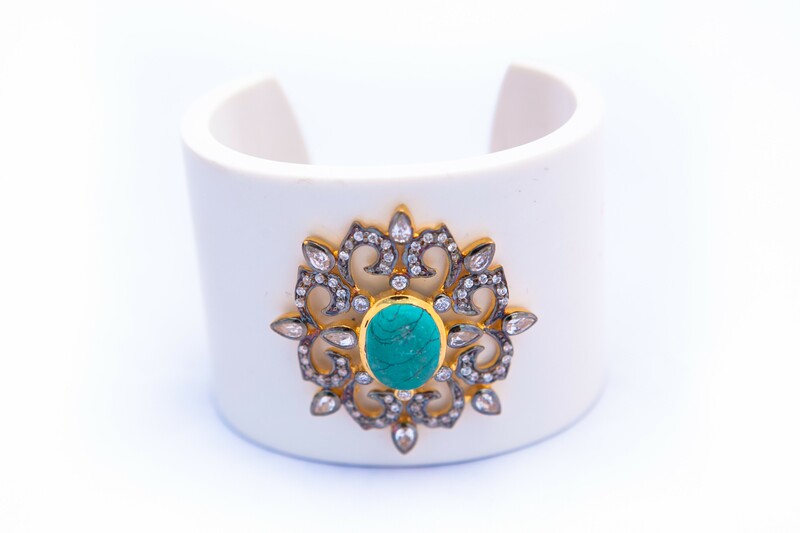 Indian inspired jewelry has its historical, cultural, and religious significance. From cocktail rings to statement necklaces, they can definitely take our outfits a notch higher. Borrow It Bindaas is listing pieces of jewelry you must have and if you already own them, how to style your outfits with them! An amazing necklace is a quick way to take our work outfit from day to night. Pair it with a little black dress or even jeans and a T-shirt, and it will make a major impact on your outfit. It’s also a great piece to travel with. You can bring one great piece that will do everything for you. BIB Tip: Take out your mom’s old kundan jewelry and pair with a black or white sheath dress, this east meets west pairings will ensure you turn heads. 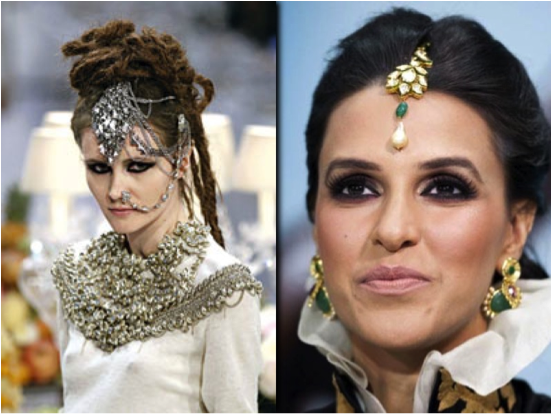 Brides traditionally wear the maang tikka; however now it’s become extremely cool to wear it! Chanel even sent out their version during their pre-fall 2012 collection. Not that we needed Karl Lagerfeld to tell us that. BIB Tip: For a dose of Indi-chic, pair a crop top with skinny jeans and rock a maang tikka. Having a pop of color in your outfit is a great thing, and a big cocktail ring is such an easy way to do it. It doesn’t even have to match! Bring a completely new color into your outfit with a ring. 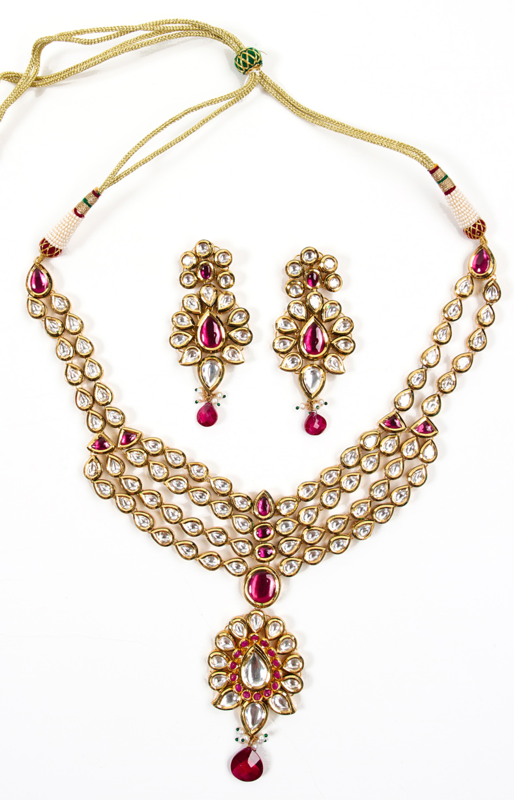 BIB Tip: Opt for a blinged out one to wear with a saree. Now this is a comeback tradition that we’ve been seeing everywhere! Sonam Kapoor wore it at the Cannes and The Lakme Fashion Week 2013 we saw it in excess. 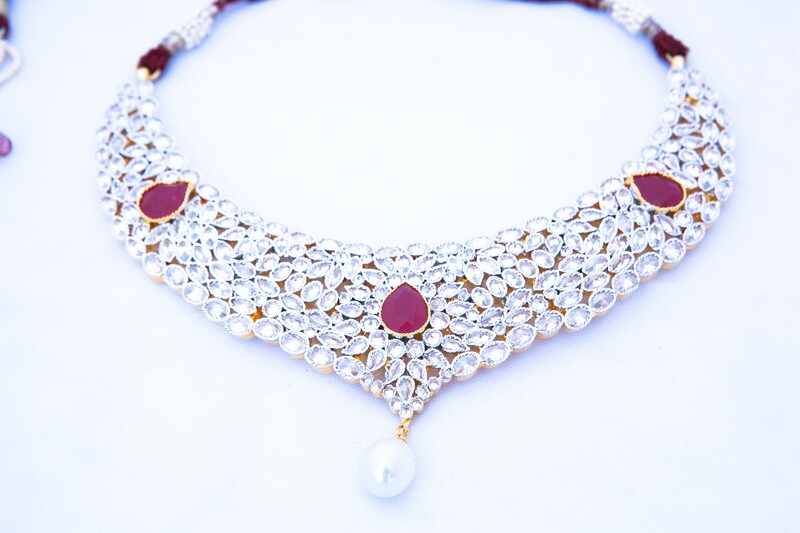 The naath has metamorphosed into an accessory that adds an element of grand-chic! BIB tip: Since Nath is an evolution I itself, be spontaneous and just walk out of the door wearing it! 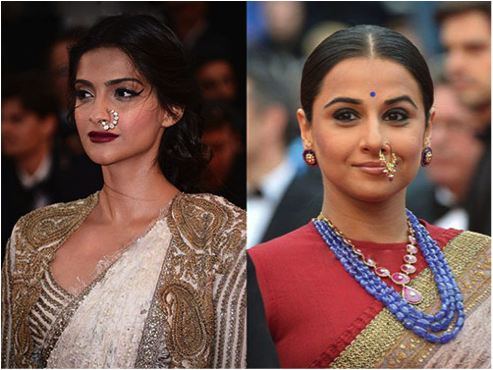 Hoops are a timeless, modern, agless essential, and can be worn with sarees! 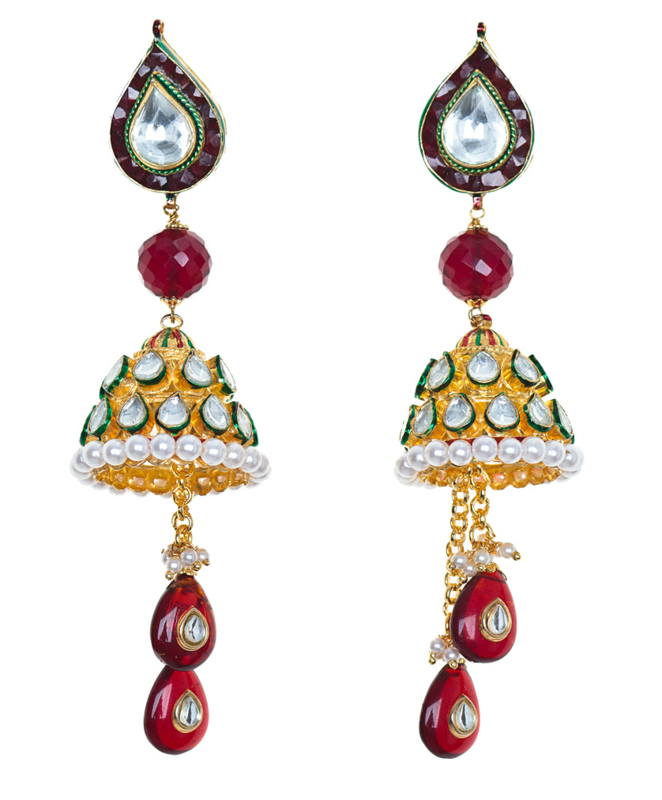 Ear cuffs too are having a moment, but nothing works better with Indian wear than a pair of jhumkas! BIB TIP: If you’re on a budget, consider getting a pair with peal detailing….it’ll look beautiful! This should be something substantial. Some women are afraid to wear cuffs because they feel they’re too heavy or clunky. BIB TIP: If you’re not a fan of them, try a delicate bangle set so you can get the same effect. And now a couple of final notes! 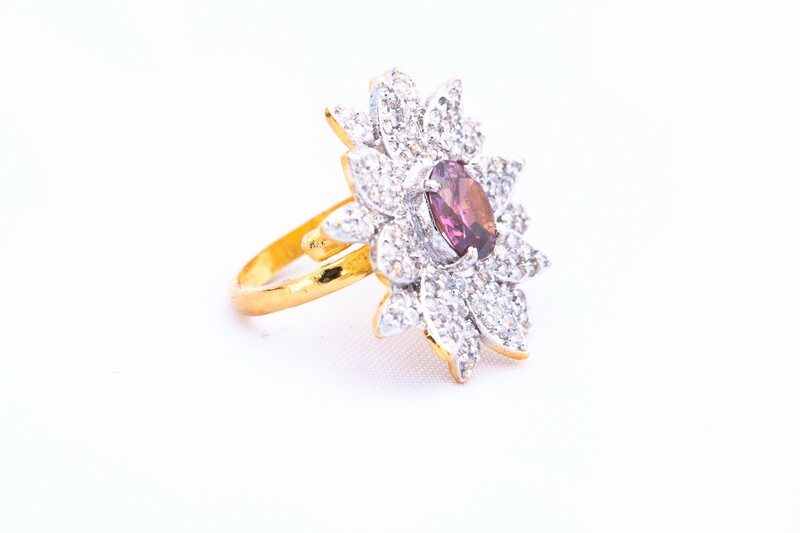 In jewelry you can match everything or match nothing. A trend that is very current to mix and match various colors of gold. Just be careful not to overdo it, do not wear too many statement pieces on top of each other: a cuff bracelet or a cocktail ring, not both together.